The above illustration is a variant cover for issue 16 of X-men, coming out this August. 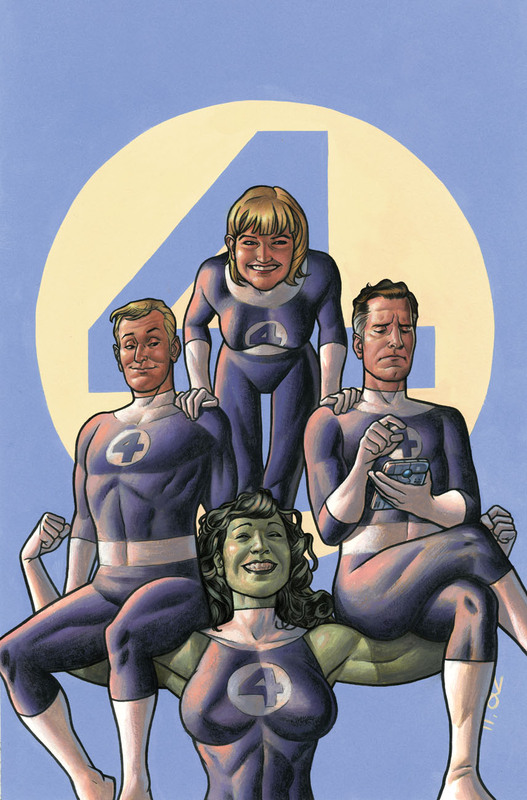 It's one of a series of Fantastic Four themed covers Marvel is putting out this year in commemoration of the 50th anniversary of the famous superhero family. This particular cover is meant to harken back to the John Byrne era of the series (in the early 80's), in which She-Hulk temporarily replaced The Thing. It's also my very first painted cover! True. This is awesome! Thanks for showing your process.